The Wal-Mart on U.S. Route 1 in Falmouth in this August 2013 file photo. Wal-Mart Stores Inc., the biggest private-sector employer in the United States, said on Tuesday it was ending health care coverage for tens of thousands of part-time workers to cut costs in a move that could prompt other companies to follow suit. The world’s largest retailer said it will stop offering health benefits for employees who work less than 30 hours a week, a change that will affect 2 percent of its U.S. workforce of about 1.3 million, or some 26,000 people. Coverage will be discontinued from Jan. 1, 2015. On that date the Affordable Care Act, popularly known as Obamacare, will require all companies employing 50 or more people to offer health insurance to those working at least 30 hours a week. Wal-Mart flagged rising health care costs as a problem in August, when it cut its annual profit forecast. It said more people than expected had enrolled in its plans and said its annual forecast for health care costs had increased by 50 percent. The move came a week before Chief Executive Officer Doug McMillion and other top executives are due to address fund managers and analysts at an annual meeting for the investment community. Wal-Mart has been struggling to boost profits, with same-store sales flat or declining for the past six quarters. 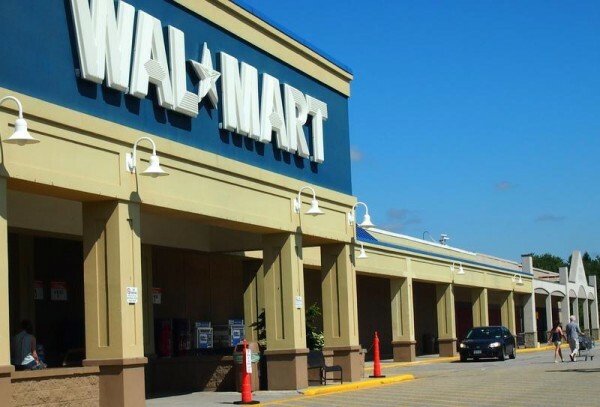 Brian Yarbrough, an analyst at Edward Jones, said the decision by Wal-Mart could force other retailers to rethink their offering such benefits, especially given tough competition in the industry. Wal-Mart said the move will bring it in line with many competitors. Among others, Wal-Mart cited Target Corp., which said in January it will stop offering coverage to part-time workers, and Home Depot Inc., which said in September it will shift coverage for part-time staff to public exchanges. Brian J. Marcotte, president and CEO of the National Business Group on Health, which represents large employers on health issues, said many companies decided before the enactment of Obamacare not to provide health care coverage to part-time workers. He said in some instances, these workers would be eligible for a spouse’s health care plan or to participate in a public exchange. Depending on their income, they might be eligible for a subsidy. Wal-Mart’s Welborn told a conference call that the company had not yet figured out how much it would save by cutting benefits. The company said in August it expected to spend $500 million on U.S. health care this year, up from its estimate of $330 million just a few months earlier. Wal-Mart also said on Tuesday it will increase premiums for all of its U.S. employees in 2015. Premiums will increase by $3.50 to $21.90 per pay period for the most popular and lowest-cost employee-only plans. The company said it was changing some eligibility terms for part-time employees working more than 30 hours a week, but did not provide details. For eligible workers, both full and part-time, the company said it will continue to provide options that include no lifetime maximum, preventative care covered 100 percent, and up to $1,000 to help pay for medical expenses. Wal-Mart’s shares were unchanged at $77.35 in afternoon trading on the New York Stock Exchange.